Note the light coloured Sapwood band and the darker heartwood core on this Ironbark disc. Before you go into the cause of timber decay, it’s important to understand the basic structure of timber, it’s natural durability and other properties. After the harvesting process where the tree is stripped of its branches, leaves and bark, the remaining sawlog contains two main components, sapwood and heartwood. Sapwood makes up the outer annulus of the log. Heartwood, as the name suggests, is the heart or core of the sawlog. The amount of Sapwood or Heartwood that’s present will vary greatly between species and wood type. 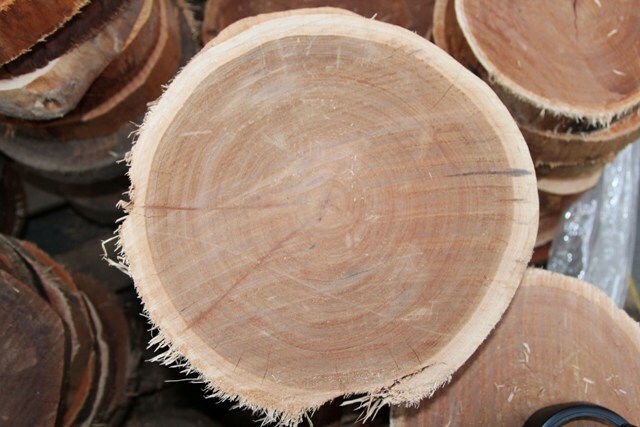 For instance, softwoods like Radiata Pine have very large sapwood bands that are typically up to 90% of the log diameter. Eucalypt hardwoods tend to be the exact opposite. For instance, the Sapwood band in Red Gum will be roughly 30-50mm thick. The reason why this is important is the timber’s natural durability to decay. To assist with understanding natural durability, there is an Australian Standard (AS 5604). AS 5604 assigns timber into 4 natural durability classes simply numbered 1 to 4. Class 1 durability timbers are considered the most durable, with class 4 being the least. Just to make matters more interesting, the standard has grouped the natural durability of timber into Above Ground (AG) and In Ground (IG) contact. So why does this matter? Timber that is considered naturally durable above ground is not necessarily durable in ground. Merbau is a classic case in point as its a class 1 timber AG (highly durable), but a class 3 IG (not so good). The above table is taken directly from AS 5604. To confuse the issue slightly, it’s important to note that the Sapwood of any timber species is considered to be not durable i.e. Class 4 both in and above ground contact. This table really represents the Heartwood natural durability. An important point to note is that natural durability is not related to the timbers resistance to termite or borer attack. Nor has it anything to do with the pressure treatment of timber to make it more durable. These are separate issues. Another misconception is that durability is related to its structural rating or how hard the timber is. Again this is false. 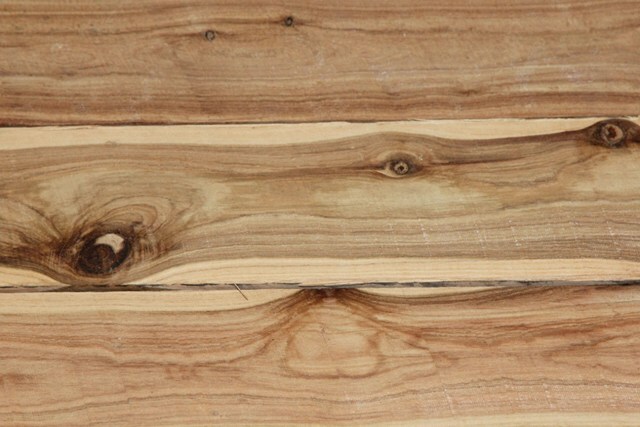 An inherently strong and/or hard timber species can also be of low natural durability. It’s not hard to see that this soon becomes a difficult and complex topic. I won’t confuse the issue any further in this article, with the exception that I will later return to the pressure treatments (preservatives). Again, note the lighter sapwood layers of this pack of Cypress Pine posts. The darker timber is heartwood. So what is timber decay? Timber decay is a natural process where fungi consumes the timber as its food source. The natural purpose of this process is to return the nutrients from dead plant matter back into the environment. It is therefore an essential process to the cycle of life and the ecology of the planet. However, it’s not desirable if it’s attacking the high value timber of your home. There are three key requirements for decay fungi to grow, A food source (being the wood itself), oxygen and moisture. The first two requirements cannot be eliminated or easily controlled (in the case of oxygen). However moisture can be controlled to some extent, but there are many situation where it can’t. Note that the term “dry rot” is a misnomer. All fungal decay requires moisture to thrive. In terms of the types of decay, there are three main categories. Brown rot, White rot and Soft rot. Brown rot is the most common and is characterised by its brown and cubical appearance. White rot is characteristically white in colour and can have a wispy, soft and spongy appearance. It is usually UV intolerant, so will be most common in dark and persistently damp places such as under subfloors or basements. The last and least common form of fungal decay is Soft Rot. Soft Rot can appear to be similar to brown rot in many respects, but it only attacks Sapwood and generally takes longer to be noticeable than Brown rot. Most pest controllers will only come into contact with Brown and White rot during an inspection. I’ve read a couple of these and will probably read the rest shortly. Concise, clear and very informative.